All you need to know for the two weeks worth of Sectional Championships. Each one of these meets will take place at the Toms River 'Bubble' aka John Bennett Indoor Athletic Complex. Thousands will compete to advance to the Group Championship round, the top six in each section for each event will move on. In simple terms if you earn a medal you advance. We are also proud to announce that we will be recording race videos at all of these Sectional Championships as well as the Group Championships, you can see all of our recent State Relay coverage right here. 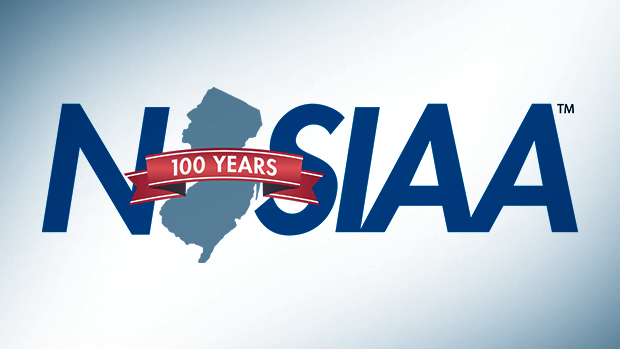 When available updates from these meets will be available on our twitter feed (@njmilesplit). Note that adjustments were made since the original release to the Friday start times, they now start at 3:45pm. Below is a screenshot from the NJSIAA regulations. 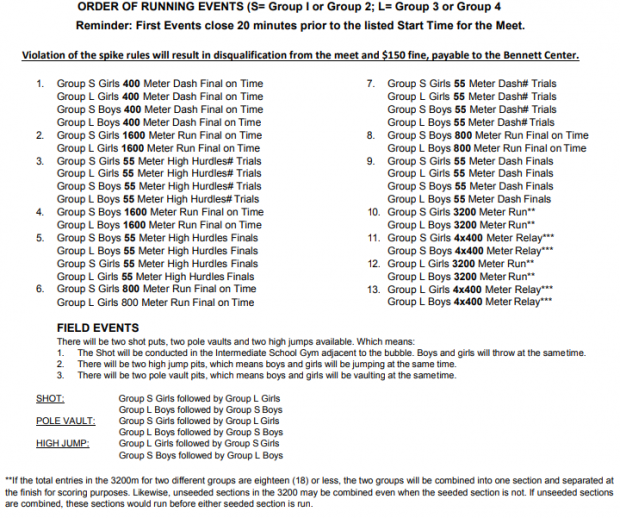 Note that #10 should both be small school 3200m races. One group will complete their 3200m and 4x400m before the other to help with congestion and traffic at the end of the meet.